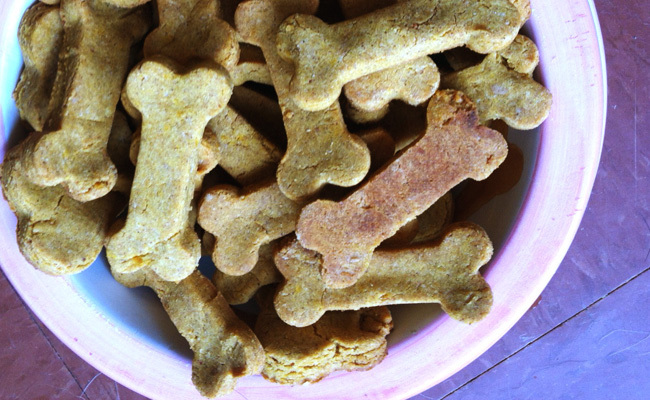 I rarely make cookies for humans, so it was quite unusual for me to make treats for my dogs, Sanchez and Gina. But, when I came across the recipe for “Pumpkin Squeaks” Dog Treats from ProtectYourBubble.com, it looked so easy that I gave it a try. Now, I can’t believe that I didn’t start making my own dog treats sooner. Taking an hour out of my hectic day to make something healthy for them gave me great joy. The experience encouraged me to slow down and enjoy the holiday spirit instead of rushing through it. The above picture is my final result of this recipe, which is also gluten free and human grade. And, I was delighted to discover that they can be broken into tiny bites, which is always helpful for training. Spread dough to 1/4 inch thick and cut into desired cookie shapes. Let cool before serving. Store in refrigerator for up to 7 days. 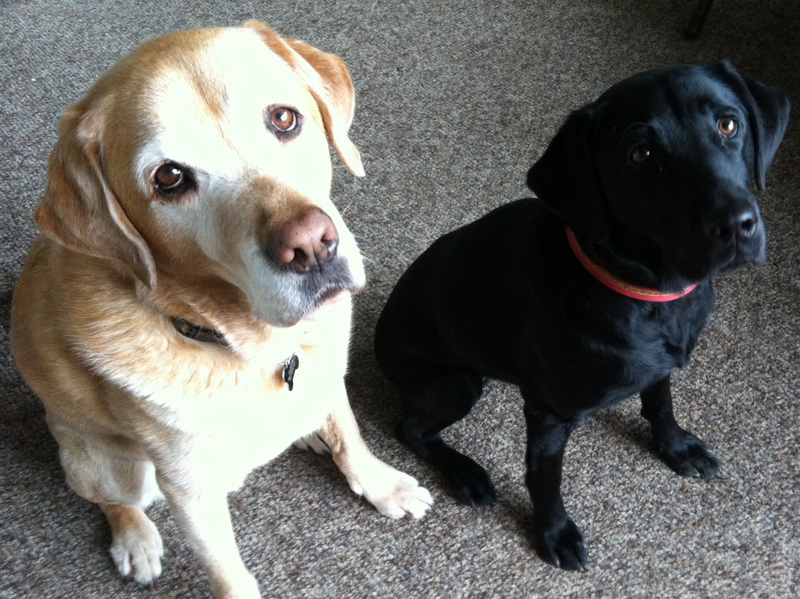 Gina and Sanchez loved their homemade dog treats! Will have to make some of these to give as Christmas gifts! Thanks for the recipe. I can make these and eat them myself but use flax eggs instead of eggs!